The traditional markets scattered throughout the country are important resources for their local neighborhoods. Well-known marketplaces, like Namdaemun and Gwangjang, are examples of where Koreans can find their most basic of needs. But their authenticity is somewhat reduced by having been glossed up for tourists. 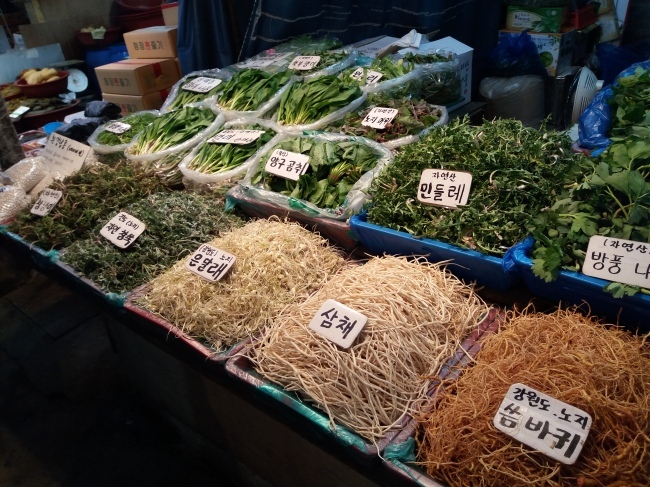 By comparison, Gyeongdong market in Dongdaemun-gu, northeastern Seoul, is where one can truly experience a traditional marketplace within the city, and feel the honesty and warmth of its products and vendors. In Seoul there are a number of specialty marketplaces, such as Noryangjin fish market, Majang for meat, and Garak for wholesale goods. Gyeongdong Yangnyeong market is mostly recognized for being the No.1 source of traditional herbal medicines and other homeopathic ingredients. However, the market also offers an array of food products that tend to shine brighter amongst the ginsengs and foraged herbal mushrooms and tubers as an underlying freshness exudes no matter what part of the market you shop in. No matter being under a makeshift roof and standing on a broken concrete ground, shopping through the aisles of Gyeongdong market is any food lover’s paradise. 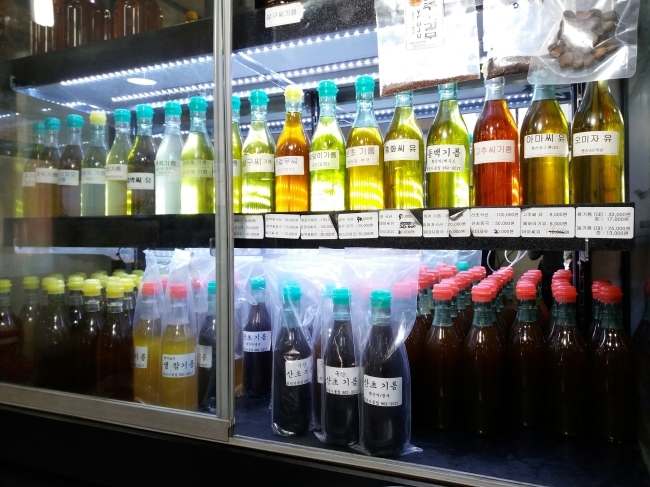 A large section of neatly stacked seaweed laver from all parts of the country finds itself next to aisles of vibrantly fresh and seasonal hard to source produce to mounds of garlic varietals used for different recipes is just the beginning of what sets Gyeongdong market apart from the rest. 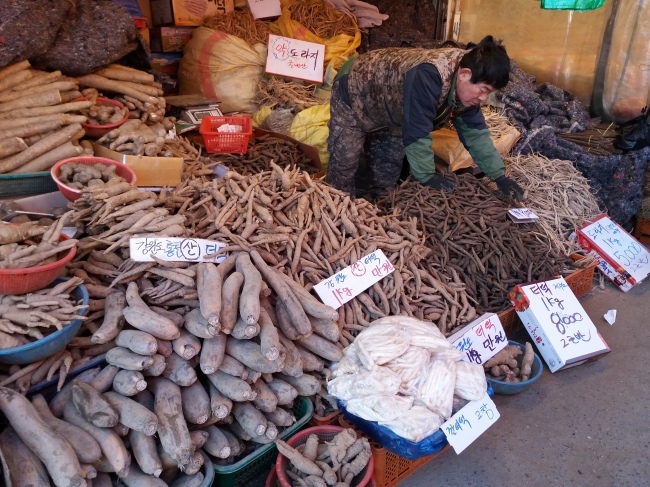 Traditional markets in Seoul often feel generic with their selections, but the higher quality and unique finds more centric to the holistic tone of the medicinal herb market makes the produce section at Gyeongdong stand out. The products not only look better, but they are priced well, and watching swarms of locals scrutinizing their products with knowledge is a great affirmation. Miniscule aerial tubers from ma, or Chinese yam plants, look like specks of potato and taste like their root counterparts, crunchy, slimy, nutritious and delicious -- staying in line with the healthful theme of Gyeongdong marketplace. Heaps of root vegetables, so important to the medicinal diet, are sold with great enthusiasm to buyers who know what they are looking for. A pathway dedicated to fresh pressed oils used first and foremost for their healing properties are equally delicious as culinary ingredients. For those looking for the freshest of local produce with a purpose, Gyeongdong market is your one stop shop for the best ingredients in Seoul.